NT935 Dry Transformer Temperature Controller | Springer Controls Co. The NT935 is a microprocessor based temperature controller for dry type and cast resin transformers. 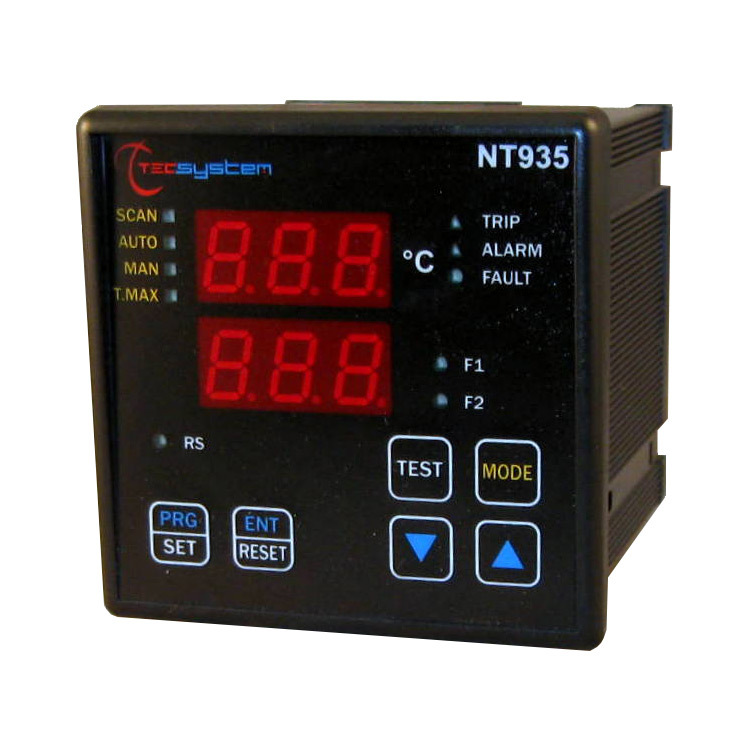 The NT935 has 4 input channels, allowing for monitoring temperature at 4 separate locations. Featuring a dual display with 3 digits for displaying temperatures, messages and channels, along with 3 LEDs to display the state of the alarms of the selected channels and 2 LEDs to display the state of two separate fans, the NT935 is available in several different versions to match your requirements. The NT935 Basic includes the output relays listed above. The NT935 AD adds an analog 4-20mA output as well as a digital RS485 Modbus RTU. The NT935 ETH adds an ethernet output 10Base T / 100Base-TX Modbus TCP slave.